Are You Getting Enough Ascorbates in Your Diet? Ascorbates, otherwise known as Vitamin C, is one of the best immune system supplements known as long as they are combined with two amino acids. These amino acids combined with these nutrients are the building blocks of cells. Their actions and benefits are explained in this article. After you read this entire article, there should not be any doubt in your mind about their effectiveness. I personally take this immune system supplement everyday without fail, and always will. It is well known that ascorbates are a powerful antioxidant and a number of studies have revealed that during infections there is a marked decrease in Vitamin C levels in white blood cells and plasma. Phagocytes and lymphocytes, two very important t-cells to combat yeast infections or any illness, contain over 10 times the amount of Vitamin C than plasma. Low levels of ascorbates in the body have indicated a significant decrease in phagocyte activity. An invitro study published in 2013 in Antioxidants & Redox Signaling Journal, have revealed a significant proliferation of T lymphocytes when vitamin C levels are high. It was also found to stimulate a rise in interferon levels and NK cell activity when levels rose in leukocytes. It has been found to inactivate bacteria and viruses and has been used in humans for this purpose. In 2002 the American Journal of Clinical Nutrition published a study done on 492 non-diabetic women aged 53 to 73 who did not have cataracts at the start of the study. The study ran for 15 years and ascorbate consumption was measured through diet and supplementation questionnaires. The women under 60 that consumed at least 362mg a day of Vitamin C had a 57% lower incidence of developing cataracts than those that consumed less than 140mgs a day. The women that consumed ascorbates for at least 10 years had a 60% lower risk of developing cataracts compared to those that did not consume any ascorbate supplement. In June of 2006 Vanderbilt University published a report in The Journal of Nutrition on guinea pigs where they removed the ascorbates from their diets. After 11 days, 9 of 12 guinea pigs developed paralysis and two were found dead. The autopsies revealed damage to the brain, spinal cords, nerve cell death, and vascular injury. All damage was because of the damage done to the circulatory system, which caused severe damage to the brain and spinal cords. The experiment was halted after 15 days. In 2002 a study was published in Clinical Cardiology on the effects of ascorbates and high fat meals. 74 patients with heart disease and 50 without but considered to be high risk, were fed high fat meals. One group received 2000mgs of Vitamin C after the meal. Serum triglyceride levels were found to increase significantly two to five hours after the meal in both groups. However, the group that was not given any ascorbates was found to have a decreased diameter of the arteries restricting blood flow, the group taking the supplement did not. The study concluded that mineral ascorbates protect the blood vessels from high triglyceride levels. In 1994 Researchers from the USDA and National Institute on Aging conducted a recent trial on participants in the Baltimore Longitudinal Study of Aging. This study investigated the effect of ascorbate intake on total cholesterol level. The researchers found that in a well-nourished population with Vitamin C intake well above the RDA of 60 mg/day, and with adequate concentrations of plasma ascorbates, there was a significant positive association between high levels of plasma ascorbate and high levels of HDL cholesterol. In 2003 findings were published about a detailed food-frequency questionnaire that was administered to 85,118 female nurses in 1980, which assessed the subjects consumption of ascorbates and other nutrients. Nurses were followed up for 16 years to see how many developed coronary heart disease. During follow-up, there were 1,356 reported cases of coronary heart disease. After adjustment for age, smoking, and a variety of other coronary risk factors, researchers noted that the women who had the highest total intake of ascorbate had the lowest risk for coronary heart disease. Among women who did not use Vitamin C supplements or multivitamins, there was only a weak and non-significant link between the association of ascorbate intake from diet alone and incidence of coronary heart disease. Ascorbate supplement use, on the other hand, was associated with a significantly lower risk of coronary heart disease. According to the researchers, users of Vitamin C supplements appear to be at lower risk for coronary heart disease. Marguerite Engler of the University of California San Francisco published a study in the Journal Circulation done on young adults and children for high cholesterol. High cholesterol is estimated to affect 50 million children between the ages of 9 and 20 in the US. The study measured the elasticity of the vascular walls, which can become stiff leading to high blood pressure and high cholesterol. In six weeks all the children showed a significant increase in blood vessel function from taking 500mgs of mineral ascorbates daily. A British study published in 2006 on 3,258 men aged 60-79 years old found that Vitamin C has an anti-inflammatory effect on their vascular health with no history of heart disease or diabetes. Johns Hopkins University examined 4,740 elderly (65 years or older) subjects from 1995 to 1997 to determine if they suffered from dementia and Alzheimer’s disease, and again from 1998 to 2000. When first examining the subjects, researchers also determined their supplement use. The use of vitamin E and ascorbate supplements in combination was associated with a nearly 78 percent lower risk of developing Alzheimer’s. A study published in the Reproductive Medical Journal on pregnant women and diabetes found, that women that took less than 70mgs of ascorbate a day, were 3.7 times more likely to develop gestational diabetes. Low Vitamin C intake before or during pregnancy is associated with an increased risk of premature delivery, according to a study reported at the Annual Meeting of the Society for Maternal-Fetal Medicines in New Orleans, Louisiana, January 18, 2002. A study done in Finland, which lasted more than 10 years, focused on 2,419 randomly selected middle-aged men, 42 to 60 years old, with no history of stroke. During the study, 120 men suffered a stroke. According to the study, low plasma ascorbate levels were associated with increased risk of stroke, especially among hypertensive and overweight men. Individuals who are infected with the ulcer-causing bacterium h. pylori suffer from low levels of Vitamin C, according to a recent study published in the Journal of the American College of Nutrition in 2003. This finding was verified by Anupam Aditi, M.D. and David Y. Graham, M.D in 2012 and published in Digestive Disease Science. Ascorbates have been found to be effective for maintaining healthy stress hormone levels and in fighting inflammation from second hand smoke. They reduce the incidence of colds in children while boosting autoimmune system function. I can go on and on here folks! They are involved in over 300 metabolic processes in the body and are used in unusually high amounts by the body when you are ill. In the case of candida you could take anywhere from 3000mgs to 200,000mgs a day! No Joke, the sicker you are the more your body needs since the t-cells will use it at an alarming rate to kill any infection. Cells are composed of collagen and lipids, which are fats. Collagen is the largest protein source in the body and makes up 95% of all soft tissue. Everything from skin to cartilage and ligaments, if its not bone, it's made from collagen. The ratio of collagen to lipids is 60/40 respectively. Collagen is produced from ascorbates, along with the two amino acids L-lysine and L-proline, and other common trace minerals. The body can produce l-proline if it has the raw materials to do so. 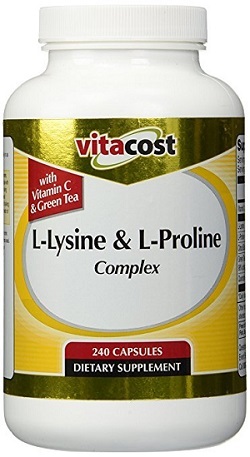 However, it cannot produce L-lysine and Vitamin C and in the manufacture of collagen will use an enormous amount of proline. Since cells are replaced on a daily basis and all cells in roughly 7 years, then by supplying the body with the proper fats and the nutrients to make collagen, we can literally grow new healthy bodies if we choose too. But something else also happens pertaining to viruses and cellular immune system health. All viruses, and cancer, secret an enzyme that digests a hole in the cell wall so they can enter. Once inside they wine and dine and alter the genetic codes of the cell making it sick. They then digest a way out and into the neighboring cell where they repeat the process. This is a simple explanation for a complicated process that happens at lightening speeds but it is what happens none-the-less. Now if you take Vitamin C with Bioflavonoids, Quercetin, Green Tea, L-Lysine and L-Proline at Amazon and a Omega 3 fatty acid product, you have the building blocks of collagen and cells. The cell walls become strong and new healthy strong cells are built everyday to replace old cells. The result is the virus can still enter the new cell but the increased strength makes it harder to do so. However, because of this increased strength, the virus has a really hard time getting out! Now the immune system recognizes the sick and genetically altered cell because cell-to-cell communication has been cutoff from the virus destroying the inner workings of the cell. Throw in the fact as indicated by the T-cell studies above, the T-cells are working overtime and at utmost efficiency because you are taking ascorbates so they quickly destroy and remove the damaged cell containing the virus. It is that simple. At the same time you are rebuilding your body on a cellular level. When you begin to notice a change when you look in the mirror, just think about what is happening on the inside. Another study, I can't find the reference at the time of this writing, found that it extends the life of the person taking it by 6 years. All animals except for fruit bats, guinea pigs, primates, the red vented bulbul bird, and humans do not produce their own ascorbates but science believes we used too. They think we lost the ability about 25 million years ago. All other animals do produce their own from a liver enzyme that converts glucuronic acid derived from glucose to Vitamin C at a rate of 1000mgs per 15.4 pounds of body weight. Since the last I looked we are still animals, this would indicate the average 150lb person would have to consume almost 10,000mgs a day of ascorbates. I am not advocating this but I do believe the RDA of 60mgs is ridiculous and new research would also suggest the same. Do you want to be bullet proof and healthy all the time? Free from colds, flu's and heart disease? As well as getting all the other benefits listed above? This is what I do. I take Intramax as directed on the label. It not only contains 600mgs of Vitamin C, but also 415 other nutrients that a person needs on a daily basis to maintain Optimum Health. All ingredients are USP and GMP pharmaceutical grade in an ionic 100% absorbable form, no cheap crap here folks. Doesn't taste to bad either. I also eat a well balanced diet, and quiet honestly, I do not remember the last time I was sick. Seriously, everything a person needs to stay healthy is right there. Beware of any form of Vitamin C that is not what animals make in their livers or kidneys. Here are some expert quotes in the field of vitamin c therapy. "Vitamin C is not a necessary component of diet, at least for all mammals with the exception of guinea pigs, fruit eating bats, the red vented bulbul bird and higher-order primates - which includes us. All other species make their vitamin C by converting glucuronic acid derived from glucose into ascorbic acid (C6H8O6). At least three enzymes are required to make this conversion. One of these liver enzymes, L-gulonolactone oxidase, or part of the enzyme system, is missing in primates. Irwin Stone proposed, in 1965, that a negative mutation may have occurred in these species and they to lost the ability to produce vitamin C. In primates this is thought to have occurred in the region of 25 million years ago. " "Ester-C is not an ester. My late friend was a former scientist involved in biochemical warfare with a high security clearance. He dissected the patent and had several meetings with Dr. Virlangieri, one of the researchers that touted its virtues. My friend favored good old ascorbic acid or sodium ascorbate. He told me quite literally that ester-C was "two pounds of 'dung' in a one pound bag." He was an avid Pauling devote and was concerned that under certain conditions, ester-C was dangerous and contraindicated. The prevailing propaganda changed from its being an ester to its providing threonine metabolites. He told me that Pauling would have laughed the ester-C boys back to chemistry class! " R. L.
There you have it, stick with the real thing folks. Vitamin C and Infectious Diseases, Hemila, Harri, in Vitamin C in Health and Disease, Packer, Lester and Fuchs, Jurgen (eds. ), 1997;Chapter 27:471-503. 27873. Taylor A, Jacques PF, Chylack LT Jr, Hankinson SE, Khu PM, Rogers G, Friend J, Tung W, Wolfe JK, Padhye N, Willett WC. Long-term intake of vitamins and carotenoids and odds of early age-related cortical and posterior subcapsular lens opacities. Am J Clin Nutr. 2002;75(3):540-9. Burk RF, Christensen JM, Maguire MJ, Austin LM, Whetsell WO Jr, May JM, Hill KE, Ebner FF. A combined deficiency of vitamins E and C causes severe central nervous system damage in guinea pigs. J Nutr. 2006 Jun;136(6):1576-81. Ling L, Zhao SP, Gao M, Zhou QC, Li YL, Xia B. Vitamin C preserves endothelial function in patients with coronary heart disease after a high-fat meal. Clin Cardiol. 2002 May;25(5):219-24. J. Hallfrisch, V.N. Singh, D.C. Muller, et al. Am J Clin Nutr. 1994;60:100-105. Wannamethee SG, Lowe GD, Rumley A, Bruckdorfer KR, Whincup PH. Associations of vitamin C status, fruit and vegetable intakes, and markers of inflammation and hemostasis. Am J Clin Nutr. 2006 Mar;83(3):567-574. Zandi PP, Anthony JC, Khachaturian AS, Stone SV, Gustafson D, Tschanz JT, Norton MC, Welsh-Bohmer KA, Breitner JC; Cache County Study Group. Reduced risk of Alzheimer disease in users of antioxidant vitamin supplements: the Cache County Study. Arch Neurol. 2004 Jan; 61(1): 82-8. Zhang C, Williams MA, Frederick IO, King IB, Sorensen TK, Kestin MM, Dashow EE, Luthy DA. Vitamin C and the risk of gestational diabetes mellitus: a case-control study. J Reprod Med. 2004 Apr;49(4):257-66. Kurl S, Tuomainen TP, Laukkanen JA, Nyyssonen K, Lakka T, Sivenius J, Salonen JT. Plasma vitamin C modifies the association between hypertension and risk of stroke. Stroke. 2002 Jun;33(6):1568-73. Simon JA, Hudes ES, Perez-Perez GI. Relation of Serum Ascorbic Acid to Helicobacter pylori Serology in US Adults: the Third National Health and Nutrition Examination Survey. J Am Coll Nutr. 2003 Aug;22(4):283-9. 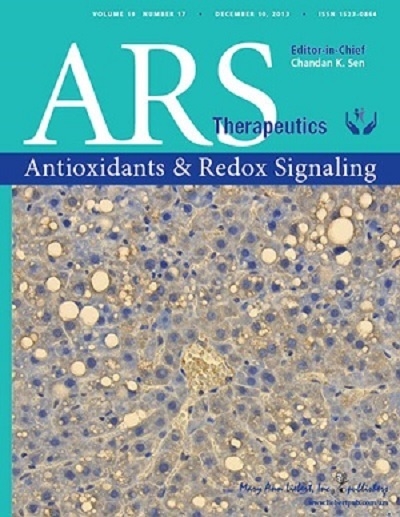 Block G, Jensen C, Dietrich M, Norkus EP, Hudes M, Packer L. Plasma C-reactive protein concentrations in active and passive smokers: influence of antioxidant supplementation. J Am Coll Nutr. 2004 Apr;23(2):141-7. Pattison DJ, Silman AJ, Goodson NJ, Lunt M, Bunn D, Luben R, Welch A, Bingham S, Khaw KT, Day N, Symmons DP. Vitamin C and the risk of developing inflammatory polyarthritis: prospective nested case-control study. Ann Rheum Dis. 2004 Jul;63(7):843-7. Voko Z, Hollander M, Hofman A, Koudstaal PJ, Breteler MM. Dietary antioxidants and the risk of ischemic stroke: The Rotterdam Study. Neurology. 2003 Nov 11;61(9):1273-5.